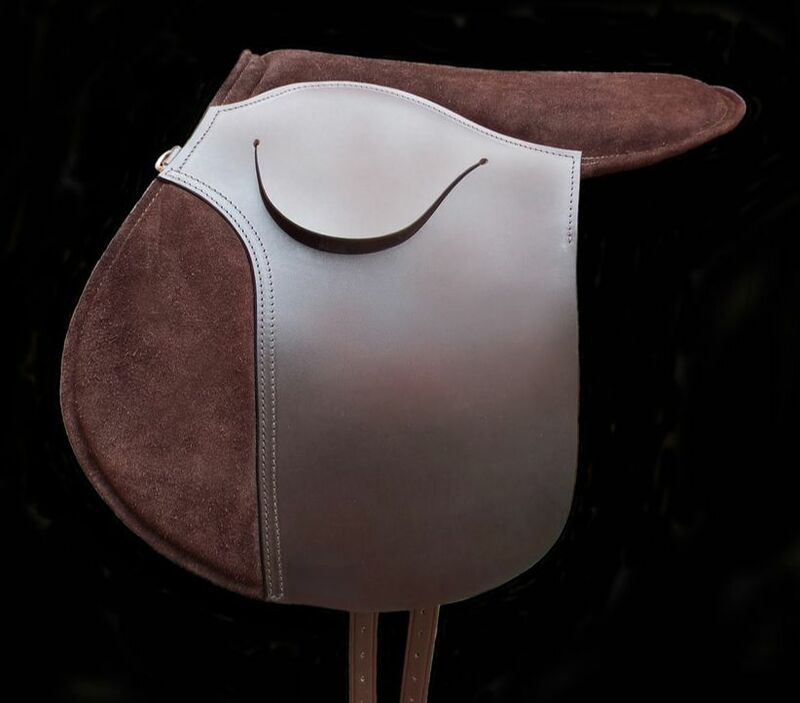 With all the attributes and benefits of the original Thorn Saddle Pad, this new addition is designed specifically with jumping in mind. 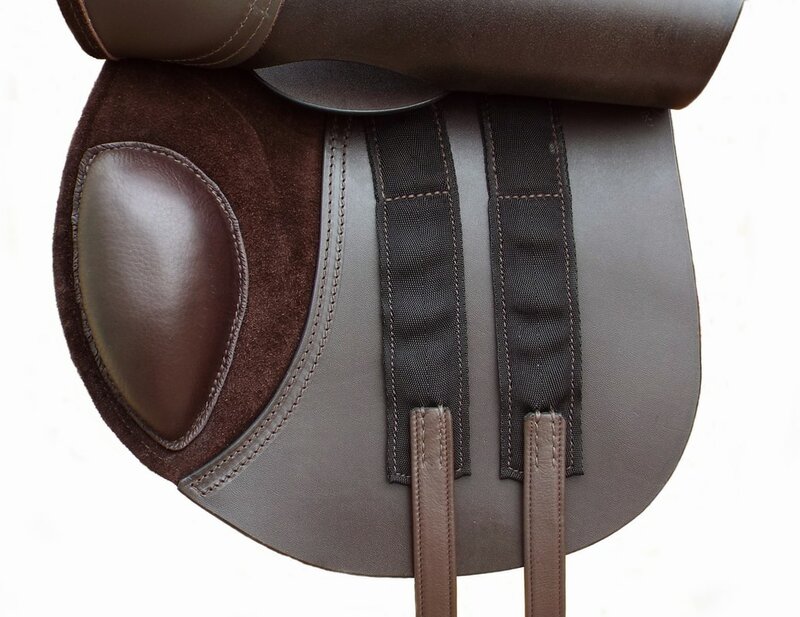 ​It includes an extra forward cut jumping flap, large knee blocks, a 3 layer latex foam topped seat for extra comfort and stability, 'D' rings, and long dressage girth straps for reduced bulk under rider's leg. Leather & Suede or All Leather.